1st successful grow and she was a doddle, no issues throughout other than my inexperience & I’ve loved every minute of it. 1st failed grow the mother was over fed from day 1 but was a lot more frosty. 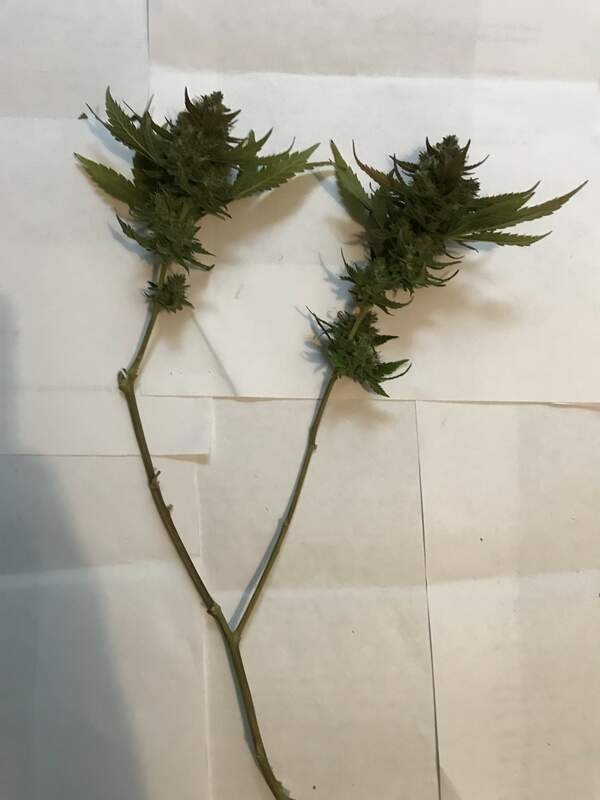 The only other difference apart from feeding less was I reduced nutrients to 30% than recommended as I read they are calculated based on 1000w hps and need less for 400w equivalent led however because I scrogged her ultimately making her a larger plant I wonder if I should up the nutrients and by how much? I also read plant leaf temperature is lower with led therefore day temperature should be 29 degrees! With technology improving and variances in led lights I wonder what is the ideal temperature for the platinum p300 ? I’ve not bothered with a wet weight, I’ll leave her in the tent for 7-10 days then weigh her before curing for a minimum of 2 weeks when I’ll update with smoke report. For now she smells amazing! Thanks everyone for watching over my grow, your advice & support are very much appreciated. It’s a shame I can’t share this with you all.